Welcome to the Mercure La Rochelle Vieux Port Sud hotel. Thanks to our excellent location a stone's throw from the downtown area and the SNCF train station, you can enjoy the Aquarium and an incredible view of the towers from our panoramic restaurant. 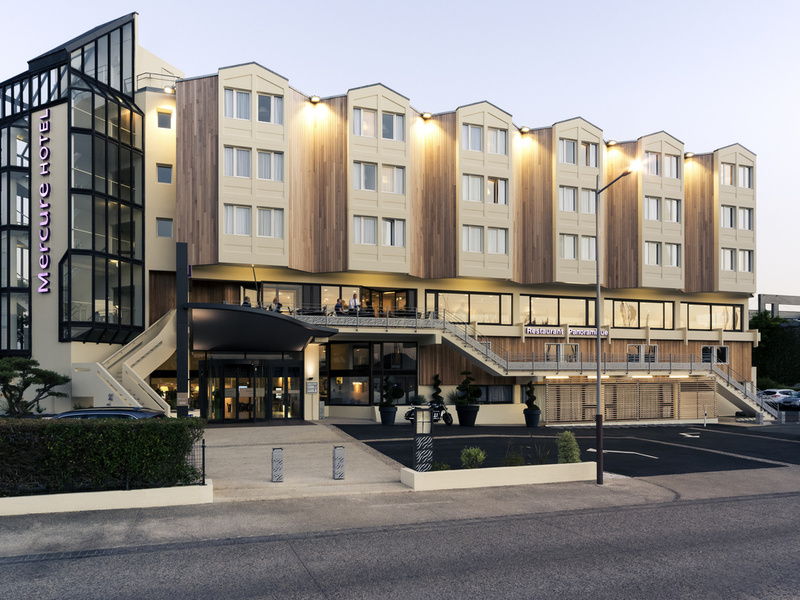 Located in the city center, between the historic city and the Minimes marina, the 4-star Mercure La Rochelle Vieux-Port Sud hotel is ideal for relaxing or enjoying the sea air on a business trip. Enjoy a panoramic view of our restaurant along the great yacht marina and the three towers of La Rochelle. For your comfort, enjoy the marine-inspired room design and our large spaces for events or business seminars. La Rochelle offers beauty, culture and gourmet food. Make the most of your stay by visiting the aquarium, the towers or one of our museums. Embark on a sailboat tour to discover the islands and unwind afterward with a seafood platter. We offer different types of rooms to suit different tastes. However, all of our rooms are decorated in the style of a ship cabin regardless of whether you choose a double or twin room. Panoramic restaurant with views over the harbor and historic towers of La Rochelle. Traditional cuisine, à la carte and set menus. Tyvärr har hotellets arkitekt totalt misslyckats med att utnyttja den fantastiska utsikten över Vieux Port. I stället har rummet krympts och fönsterna gjorts mindre! Dörren krockar med badrumsdörren som borde varit en skjutdörr. Enkelt ! Det läget kunde utnyttjats mycket bättre.